Are Tesla Solar Roof Tiles worth Installing? Unlike in previous years, contractors and consumers in the building and construction industry have a wide range of roofing styles and materials to pick from. 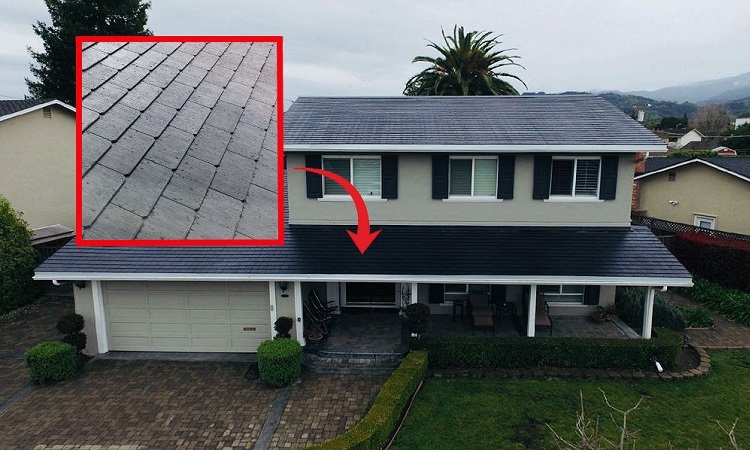 One of these roof types happens to be the Tesla solar roof tiles. It is an extremely versatile roofing that not only shields you from harsh weather but also helps to generate electricity for use in the home or business. This article will be discussing whether the Tesla solar roof tiles would be ideal for South Africans. Keep reading to find out. Being a new product in the market, people were first made aware of plans to manufacture these amazing tiles in 2016. The main aim was to ensure roofing is easy and affordable by doing away with the need to install both a roof and solar panels. The entire roof now has solar power capabilities. Customers have a choice of four different designs which can fit various housing styles perfectly. They include slate glass tile, Tuscan glass tile, smooth glass, and textured glass tile. When observed from various angles, they are no different in appearance to the conventional roof tiles and they make homes look good. The company opened its online store in May of 2019 and started $1,000 deposits for smooth black and textured-glass roof tiles. The first installations took place a few months later with some of its pioneer recipients being employees of the company. 2018 is expected to see an increase in production after the manufacturing exercise was moved to the company’s new factory in Buffalo, New York. Tesla Solar roof tiles South Africa – Are they available? For a market that can’t wait to save on high energy bills through roofing installations, solar roof tiles in South Africa come to a huge relief. The country not only has a ready market to exploit but also plenty of sunshine to tap. As it stands, mass installations are yet to be rolled out, therefore people will have to wait a while before Tesla solar roof tiles South Africa becomes a reality. Hopefully not for long. One of the best things about these roof tiles, when compared to other solar roof tiles South Africa prices, is the flexibility. How much you spend depends a lot on your need. This is based on the estimated square roof footage of your home that is to be covered with the tiles, which is calculated using google project sunroof in areas where it is available. Nevertheless, it is expected that homeowners will have to part with at least 253.63 Rands per square foot of installations. Now, the challenge comes when you have to take into consideration other crucial factors that are tied to the installation process. For instance, unlike the usual solar panel roof tiles South Africa, Tesla’s roof tiles are designed to replace your existing roof completely. This means the installation will come at an additional expense of having to pay contractors to get rid of your old roof first unless it is a new building being worked on. Furthermore, you are to take care of taxes, permit fees, and other additional construction expenses like significant structural upgrades, fascia board and gutter replacements. You will also need additional money for the Powerwall battery which enables you to use more of the solar power produced by Tesla solar roof tiles. Here, you will be paying for the battery, its supporting hardware, and installation costs. Well, it’s obvious these roof tiles are high-end products that will change the solar roof tiles South Africa market in a big way. The manufacturers consider it to be an affordable invention since it can pay for itself eventually by curbing electricity costs. On that aspect alone, homeowners and businesses, especially those with high levels of energy consumption, ought to go all out and get Tesla solar roof tiles. However, you might have to wait and see the warranties and incentives offered since the infinity or lifetime of your house tile warranty, and 30 years weatherization & power warranty only apply to the United States. Overall, one thing is certain, the cost of solar roof tiles in South Africa will shift significantly once Tesla solar roof tiles hit the market.